In 1976, Manitoba passed The Workplace Safety and Health Act. It laid out standards for safe working conditions, and outlined the responsibilities of employers to maintain those standards. This move came shortly after Saskatchewan passed North America's very first Occupational Health Act in 1971—making Canada a strong leader in this area. But, who is in charge of ensuring these laws are actually followed? How do we know if employers are abiding by the legislation, and punished when rules are broken? This responsibility lies with occupational health and safety officers. The role goes by several names. You will see titles like Health and Safety Inspector, Environmental Health Officer, and Health and Safety Specialist—but they all have the same goal: to uphold the law, and protect employees' health and wellbeing at work. What exactly does this job entail, and would it be a good fit for you? Take a look at 5 good reasons to consider a career in occupational health and safety, and some helpful advice on how to get started. Occupational health and safety officers make sure workplaces are safe for employees. They ensure management follows the law by conducting inspections, investigating accidents, providing training, and imposing fines when a workplace is not up to code. Professionals in this role also consult on workplace safety, doing assessments and offering recommendations to improve working conditions for employees. This career offers a direct, and very meaningful way, to improve the lives of people in your own community. The work is important, impactful, and challenging. The latest employment report from the Government of Canada Job Bank shows steady demand for health and safety officers in Winnipeg, and across Manitoba. This occupation received a 2/3 star-rating from the Job Bank, citing growth in the sector, and a balance between job-seekers and employers. If you're passionate about protecting people in the workplace, but don't want to invest years in post-secondary training, this career path is an ideal option. Colleges in Winnipeg offer occupational health and safety programs that take less than 1 year to complete. For example, Herzing College delivers an Occupational Health and Safety Diploma that takes just 8 months to finish, full-time. The training also includes a guaranteed 4-week internship. Some colleges also provide online health and safety training, which offers students greater flexibility, without sacrificing instructor support. This is an ideal option for people who live far from campus, or don't have time to attend classes in person. 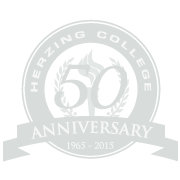 Herzing's Flex-Ed program allows students to study completely online, or blend online learning with the occasional class on campus. Either way, participants have full access to campus resources, like the library, computer lab, and career services. There is quite a bit of variety in this work, as health and safety issues vary depending on the establishment or institution under review. Competitive salaries are another strong incentive to pursue a career in this field. According to Payscale.com, occupational health and safety inspectors in Manitoba can expect to start at around $45,000 per year. And the latest Job Bank Wage Report states Manitobans in this career are making a very competitive median salary of about $74,000 per year. Click here to see the complete Wage Report from the Government of Canada Job Bank. Is a Career in Occupational Health and Safety Right for You? If you're seriously considering a health and safety career, and want more information on training, we'd love to hear from you. We strongly recommend talking with an admissions advisor, to see if you meet application requirements, and are well-suited to the field. There are a few ways to get started. Use the links below to browse the program, gather more information about courses and careers, and connect live with an advisor right now. We're here to help! Get fast, free information on admission requirements, courses, online learning options, and much more. An advisor will be in touch to help you plan your next step. See a detailed course list, program overview, and chat live with a knowledgeable advisor. Get your questions answered, quickly and easily online.